IBC – IBC International Business Congress e. V.
IBC International Business Congress e.V. Welcome to the 22nd IBC Annual General Meeting! The 22nd Annual General Meeting of the International Business Congress e.V. will be held on 30-31 May 2019 in Bonn, Germany. The conference venue will be the World Conference Center Bonn, Main Building. For accommodation we recommend hotel Marriott. The event will kindly be hosted jointly by Linde, Uniper and Wintershall. On Thursday, 30 May 2019 the formal part (Plenary Session, Afternoon Conference) will take place. The second day of the conference (Friday 31 May 2019) is dedicated to the meetings of the IBC Working Committees. Representatives of the IBC member companies are welcome to get registered online or per filling in the respective registration form. Accommodation can be booked using the booking form. The program will be published in due time. On December 07, 2018 the 39th IBC Presiding Committee Meeting (PCM) took place in Saint-Petersburg, Russia. A. Miller, Chairman of the Gazprom Management Committee and President of the IBC chaired the meeting. In the course of the 39th IBC PCM the participants summarized the IBC activities in 2018, proposed changes in the list of the IBC Presiding Committee members, approved the IBC budget and defined the priorities for the Congress development in 2019. The IBC Working Committees presented their progress reports, the IBC working projects in ecology, technological development, attraction of young talented specialists into the energy sector implemented in 2018. The participants approved the central theme of the 22nd IBC Annual General Meeting: ”Natural Gas – Paving the Way to Ecological Economy”. O. Aksyutin, member of the Gazprom Management Committee, made the presentation on the theme. At the invitation of Wintershall Holding GmbH, Uniper SE and Linde AG the 22nd IBC Annual General Meeting will be held on May 30-31, 2019 in Bonn, Germany. 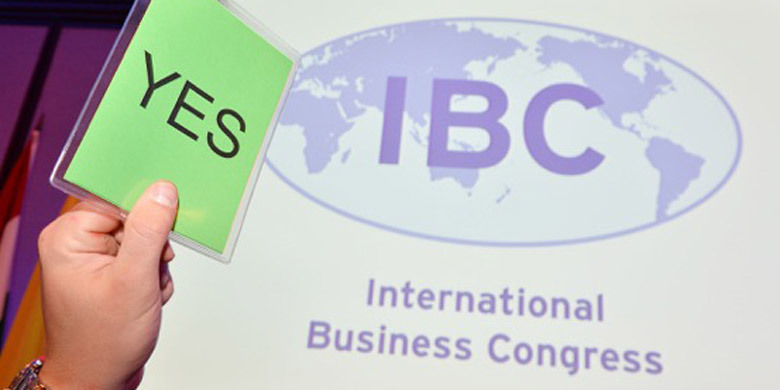 The IBC International Business Congress e.V. (former EBC European Business Congress e. V.) is an international, non-governmental and non-profit Organisation (NGO) founded in December 1997 in Bonn, Germany. As of July 2018, the IBC has 121 members from 25 countries worldwide. Statutory bodies of the IBC are the General Assembly, the Presiding Committee and the Board of Directors. The President of the IBC is Dr. Alexey Miller, PJSC Gazprom. Vice-president is Klaus Schäfer, Uniper SE. The core activity of the IBC, which creates its high attractiveness for the members and which distinguishes the IBC as something unique, is to offer a platform for open discussion in the various Working Committees and Sub-Working Groups which convene approx. four times a year. To date eight Working Committees have been formed. International Business Congress (IBC) e. V.
The 18th Annual General Meeting held in Belgrade on 28 May, 2015, marked the beginning of a new era in the work of our organization – a new turn of the spiral – a truly historic moment. The majority of the General Assembly voted in favour of decisions for expanding this organization’s geographic reach. As a result, required adjustments and modifications in the charter have been approved. In addition to it, our members took decisions on the new name and the new logo for our association. With the same date our new charter entered into force. The telephone and fax numbers remain unchanged. Please LogIn for the IBC members area. Please contact the IBC Secretariat info@ibc-secretariat.org in order to receive your login data.